On a late morning in August 2014, a scorcher in the Sierra Nevada mountains, Dr. Jonathan Bourne and a few of his hiking buddies plied the switchbacks of California’s Glacier Divide, having just bolted past two alpine lakes, not even stopping for as much as a sip. The group was competing in the annual Sierra Challenge, a 10-day quest to tag 10 of the most remote peaks in the Sierra. It took 58-year-old Bourne, an anesthesiologist in nearby Mammoth Lakes, only a few hours to reach a 12,900-foot summit, ahead of everyone but one. For much of his adult life, Bourne had fashioned himself as something of an amateur archaeologist. 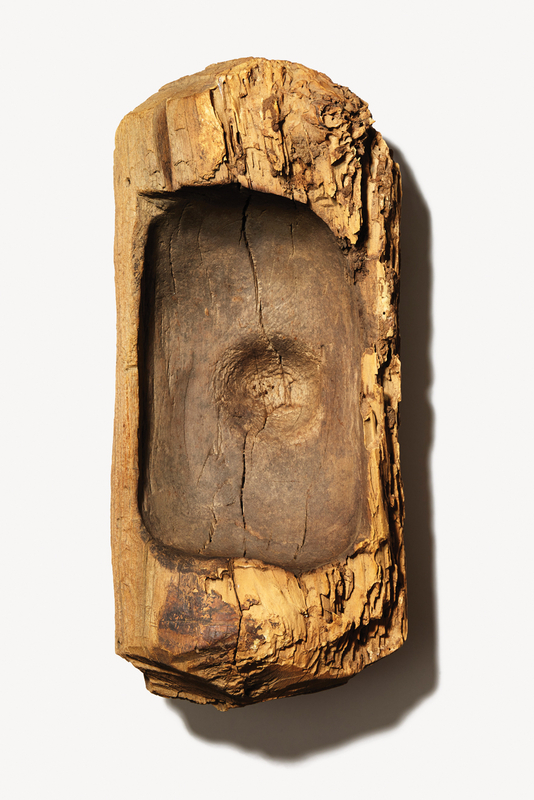 His obsession with collecting began in 1991, around the time that two hikers in the Alps found a frozen mummy that turned out to be 5,000 years old. Wouldn’t it be great, Bourne asked his companions, if we found a prehistoric man here in the Sierra’s melting glaciers? Then the guys scattered, finding their own way down. A few minutes later, Bourne shouted, “Oh my God! Oh my God!” The organizer of the Sierra Challenge, Bob Burd, turned back to see what all the fuss was about. Bourne was standing over a wooden bow that was sticking halfway out of a melted glacier. More than a foot long, it was notched at the tip. “Now this was a cool find,” Burd thought. Then Bourne grabbed a granite rock and began hacking away at the glacier. “I tried to discourage him,” Burd later wrote on his website, knowing that collecting antiquities on federal land is illegal, “but he wasn’t really listening.” After 15 minutes or so, Bourne clumsily extracted the ancient bow and took it home. Bourne was ecstatic — and no wonder. He now possessed another rare object to display in his Mammoth Lakes mansion, already full of Native American items he’d collected over the years. The new bow was a priceless addition. But a few weeks later, federal agents contacted him. An anonymous tipster, court documents later revealed, had reported a theft on federal land. The investigators said they’d like to question him. They also had a warrant to search his house. Within months, the respected anesthesiologist would find himself facing 21 felony counts and at the center of a criminal investigation that became one of the largest stolen-goods cases in the history of the Bureau of Land Management (BLM). But to hear Bourne tell it, he’s just a passionate collector who took a few items to ensure they weren’t lost to time. Jonathan Cornelius Bourne — even his name evokes a 19th-century explorer. Wiry, with sandy hair and a craggy, weatherworn face, he was born in Australia but grew up in Upstate New York. Later he attended Southern California’s Loma Linda Medical University, where he met his wife, Penny. The couple eventually settled in Mammoth Lakes, where they raised a son and daughter. It was a good life: Anesthesiologists can earn upward of $350,000 a year, and Bourne worked only 15 to 25 hours a week, which left him time for hikes, runs, and road rides on slow workdays at Mammoth Hospital. He even occasionally jetted off to remote countries, like the Philippines, to do medical humanitarian work. Mammoth Lakes was ideal for an outdoor enthusiast like Bourne. Mammoth Mountain ski resort and Yosemite National Park are nearby, as well as the highest peak in the Lower 48, Mount Whitney. But it was the region’s trove of Native American artifacts that captivated Bourne. On hikes, he’d search for arrowheads and bird points, even pottery shards with elaborate paintings, on land that the Paiute, Shoshone, and other tribes have inhabited for some 14,000 years. “I am fascinated by their skills,” Bourne once said. One of his frequent hiking partners was John Dittli, and the two would often race each other up a mountain. One day they stumbled on a five-year-old plane crash. Bourne started digging through the wreckage, but Dittli wanted to move on. “It was early in the day, and I wanted to finish before dark,” he says. But Bourne kept at it until he found a gold wedding band, which he pocketed. “That’s the only time I ever saw him pick up anything,” says Dittli. Bourne also spent much of his free time with his brother, Andrew, a surgeon at Mammoth Hospital. The two owned a 40-acre retreat with a meadow, an aspen grove, and a stream. The brothers built an A-frame cabin on-site, complete with sleeping quarters and a kitchen, as well as solar panels to power it all. Bourne had his own off-grid kingdom — and he treated it as such, it seemed. In 2006, Jon and Penny cleared some brush from the property and burned it in a pit. By law, they should have applied for a burn permit, but they hadn’t. Embers from the fire ignited a blaze that spread into Inyo National Forest, raging for nine days and consuming 7,500 acres. The cost to fight it topped $1 million, and five years later, the Bournes paid a $1 million fine. Other cracks in Bourne’s idyllic life began appearing in 2012 when Andrew was arrested on suspicion of sexual crimes involving a 14-year-old girl. His hospital contract was severed, and some friends dropped him. Andrew was freed on $750,000 bail, but 14 days later, he killed himself. 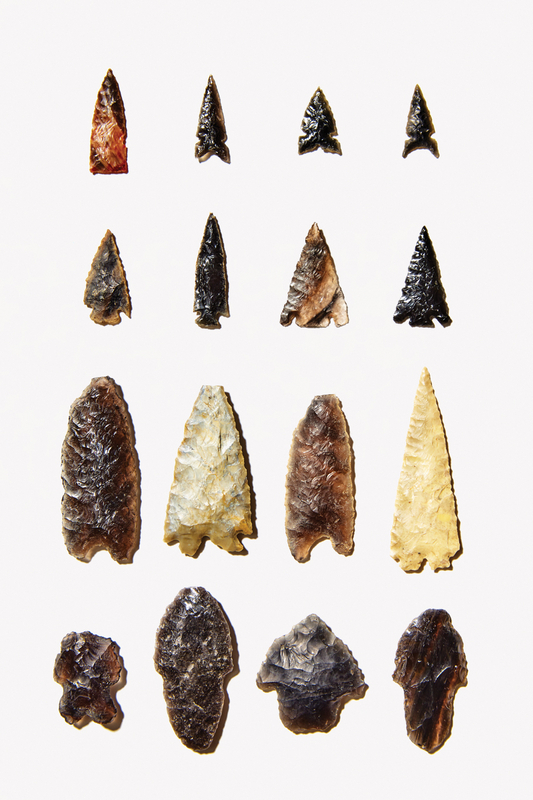 As recently as a few decades ago, it was common practice to pick up arrowheads and other Native American artifacts lying on the ground. But as collectors began driving up the demand, it increasingly became viewed as a form of cultural theft — stealing from the tribes to whom the artifacts belonged. So in 1979, President Jimmy Carter, once an arrowhead collector himself, signed into law the Archaeological Resource Protection Act (ARPA), making it illegal for anyone to “excavate, remove, damage, or otherwise alter or deface . . . any archaeological resource” on public or Native land. When Bourne was contacted by authorities after the Sierra Challenge, they assumed this was another run-of-the-mill case of someone not knowing any better. But when investigators showed up at Bourne’s home, they were stunned at what they found: some 30,000 relics displayed artfully in room after room. Half of them, Bourne admitted, had been taken from federal lands or Native reservations. Others had been purchased at antique stores or from other collectors. “It was top-notch stuff,” says one expert. Along with the treasures, there were dozens of journals recording Bourne’s collecting activities from 1991 through 2014. Thousands of entries listed the date of each hike, its location, and what he had taken. The journals revealed that on his hikes and various adventures in the mountains, Bourne had “sifted,” “dug,” and “excavated” hundreds of relics from sites that stretch from Death Valley to Mono Lake. He looted in Utah’s Zion National Park (“found nice . 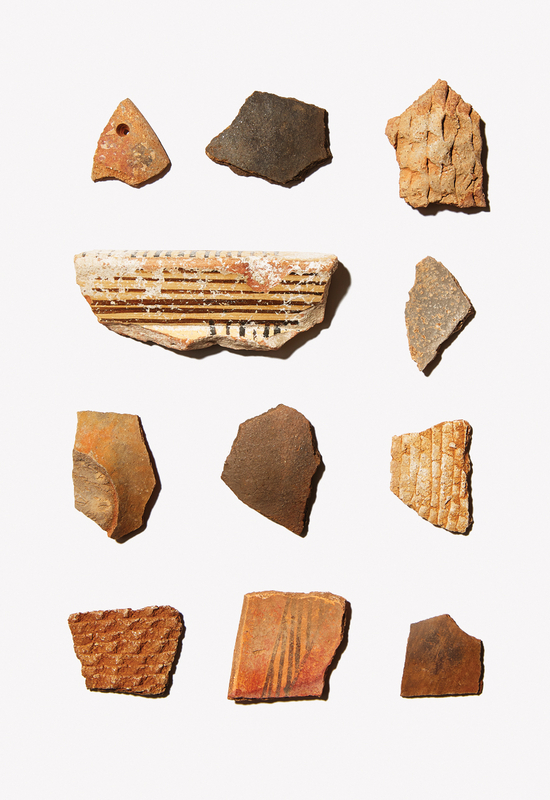 . . pottery”) and Escalante National Monument (“I found some stuff”), Point Reyes National Park (“found arrowheads!”), and near Geneva, New York (“searched for fossils with kids and mom”). The artifacts he took included ancient pottery, pendants, antlers, knives, pots, bowls, beads, and other “good stuff,” as he wrote. Digging deeper into the journals, investigators realized that not everything Bourne recorded was in the house. Penny had transported some of Bourne’s display cases to their daughter’s home. The agents soon realized that they had stumbled onto one of the country’s largest caches of stolen antiquities. In his journals, Bourne had listed his looting companions, including his wife and children, his father, and other relatives. There were other doctors, nurses, several business owners, and a prominent developer. Even a former police officer and a high school teacher had apparently been with Bourne when he broke the law. After a yearlong investigation, a federal grand jury indicted Bourne on 21 felony counts, including looting, possessing, and transporting stolen government property and artifacts from national parks, national forests, the BLM, and several tribal lands. He faced a maximum of 98 years in prison and a $2 million fine. “I was blindsided,” he told us later. Bourne also stood to lose his medical license. And because his journals named his two grown children, now physicians, they could possibly lose theirs, too. A trial in open court might also implicate community leaders. Still, Bourne pleaded not guilty. His defense was simply that he had not done this for himself but to preserve the objects. “He has never sought financial gain from his collection,” Penny says. Rather, he had long flirted with the idea of donating his collection to a museum — although few, if any, museums accept artifacts of unknown or illegal provenance. “I did hope to donate my collection ultimately,” Bourne says. In August 2016, after months of negotiating, Bourne struck a deal with the federal attorney overseeing the case: He pleaded guilty to two of the 21 counts and faced a maximum of two years in prison. During his sentencing, leaders of the Timbisha Shoshone, Lone Pine Paiute-Shoshone, Big Pine Paiute, Bishop Paiute, and Bridgeport Indian Colony — all tribes Bourne had stolen something from — sat in a courtroom in seedy downtown Fresno. In the end, however, Bourne received only two years of probation and was ordered to pay $249,372 in restitution and a $40,000 fine. [His medical license is up for review this month.] When the court adjourned, he wrote a check for the full amount.